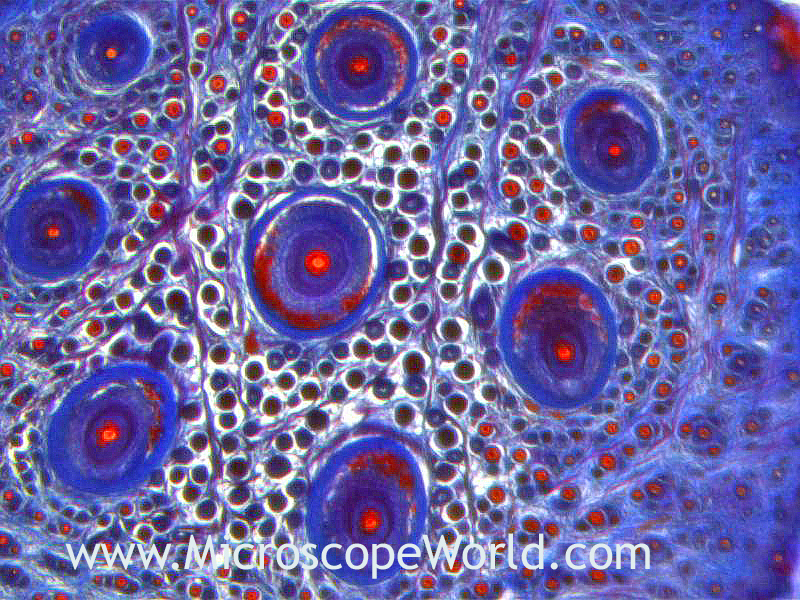 Biological microscopes used for routine laboratory work, require high quality, durable brightfield objectives. The Meiji Techno MT4200 series microscope come equipped with Plan achromat infinity corrected optics that meet the quality standards of laboratories worldwide. This stained biology sample was captured using the DK3000 3 mega pixel camera and the MT4300 laboratory microscope. For a laboratory microscope, the most common objectives are Plan achromat, Phase contrast and Apochromat lenses. You can learn more about different types of objective lenses here.